Diabetes refers to a group of conditions characterized by a high level of blood glucose, commonly referred to as blood sugar. Too much sugar in the blood can cause serious, sometimes life-threatening health problems. Pregnant women may acquire a transient form of the disease called “gestational diabetes” which usually resolves after the birth of baby. Pre-diabetes is when the blood sugar level is at the borderline: higher than normal, but lower than in diabetics. Pre-diabetes may or may not progress to diabetes. During food digestion, carbohydrates - or carb - break down into glucose which is carried by the bloodstream to various organs of the body. Insulin is a hormone produced by beta cells of the pancreas and is necessary for glucose intake by target cells. In healthy people, beta cells of the pancreas produce insulin; insulin binds to its receptor on target cells and induces glucose intake. diabetes, beta cells of the pancreas are destroyed by the immune system by mistake.
. Type 1 is characterized by early onset, symptoms commonly start suddenly and before the age of 20. 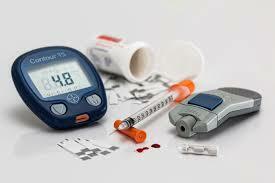 Type 1 diabetes is normally managed with insulin injection. Type 1 diabetics are therefore “insulin dependent”. In type 2 diabetes, the pancreas produces enough insulin but something goes wrong either with receptor binding or insulin signaling inside the target cells. The cells are not responsive to insulin and therefore cannot import glucose; glucose stays in the blood. In other words, type 2 diabetics are “insulin resistant”. 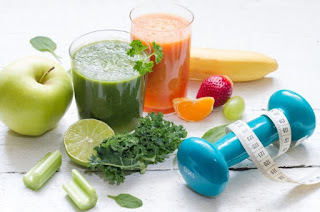 Here again, genetic factors predispose susceptibility to the disease, but it is believed that lifestyle plays a very important role in type 2.
obesity, inactive lifestyle, and unhealthy diet are associated with higher risk of type 2 diabetes. Type 2 is characterized by adult onset; symptoms usually appear gradually and start after the age of 30. Type 2 diabetes accounts for about 80 to 90% of all diabetics. Management focuses on weight loss and includes a low-carb diet.